A component event is fired from an instance of a component. 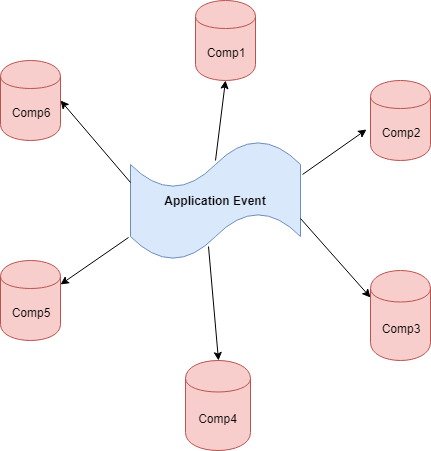 A component event can be handled by the component that fired the event or by a component in the containment hierarchy that receives the event. The component that fires an event is known as the source component. The component that fires an event can set the event’s data. To set the attribute values, call event.setParam() or event.setParams(). A component can handle its own event by using the <aura:handler> tag in its markup. The name attributes in <aura:registerEvent> and <aura:handler> must match, since each event is defined by its name. 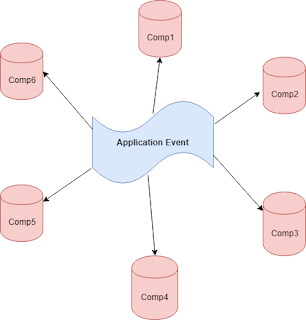 Application event in simple words can be used in multiple components and component that has the handler for the event will be notified. Events are of the most widely used in lightning component. so when you should use which one is also important.